The Newberg City Council held a five-minute discussion June 4 to approve the purchase of three new Ford Explorers for $93,541 for the Newberg-Dundee Police Department. It was an easy pass because the vehicles are needed and the money for the purchase had been included in the city's 2018-2019 budget. NDPD Capt. Jeff Kosmicki explained that by getting approval from the council early "I think that we are going to save about $1,500 to $2,000 per car." Under a cooperative agreement with the Oregon Department of Administrative Services, the contract for the vehicles was awarded to Landmark Ford in Tigard, who were the lowest bidder at $31,181 per vehicle. 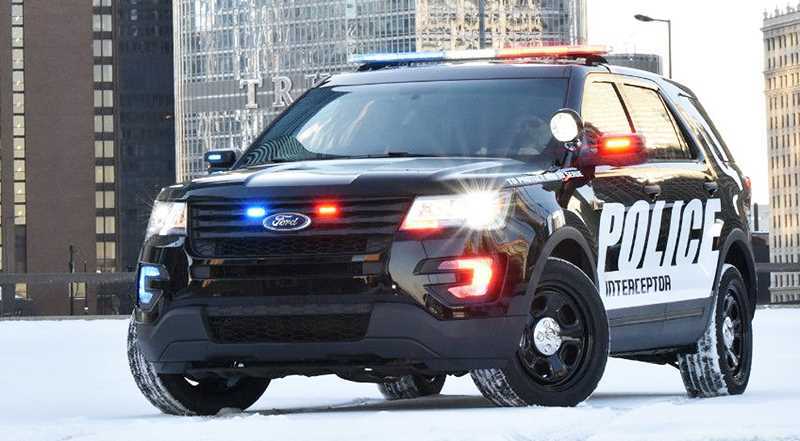 The SUVs will have installed the specialized equipment needed to make them suitable for law enforcement use; some items will need to be added later. The standard police package has a more durable suspension and brakes than civilian versions. The Explorer Interceptor model passes a 75-mph rear-impact test, with added side protection and structural reinforcement to protect officers. "(The vehicles have) special lighting, harnesses for additional lighting that a regular car would not have, better brakes …," Kosmicki said. "We used to have the Crown (Victoria), and we still have one more that we are getting rid of, and then we purchased the Chevy Caprice and then they stopped making them. So the Ford Explorer is the next best option for us. It is becoming the standard police car." Adding that the department already has five or six Explorers, Kosmicki added "I think this is a better police car … Ergonomically, they are easier to get in and out of and we carry about 25 to 30 pounds of extra gear." Although current NDPD vehicles' odometers may only read 100,000 miles, that's akin to 173,000 miles on a regular car. Ford Motor Company states that every one hour of idling is equivalent to driving 25 miles. On a normal 10-hour shift, a patrol vehicle drives between 50 and 100 miles. During that same shift, a vehicle can idle for three to five hours, increasing the mileage from 75 to 125 miles each shift. The older the vehicle, the more expensive it is to maintain, particularly given the nature of law enforcement that often includes high-speed chases and vehicles driven particularly hard. "One of the police cars ... the motor is broken. We auctioned it off and we are down one and getting rid of another one that has around 123, 000 miles," Kosmicki explained. "I'm guessing that we have seven cars that have over 100,000 miles on them." Because the department's vehicles come from a pool, they often run 24 hours a day and are rotated and put on a regular maintenance program. Extra cars are important for down time during maintenance and safety checks. "There is a lot of getting in and out, arresting someone, taking them to McMinnville, driving them back from the jail and driving to calls," Kosmicki explained. "You can put a lot of miles on them pretty quick. It becomes a tradeoff of how many repairs do you want to do versus replacing the vehicles."